A classic style in scrumptious Moroccan susti! 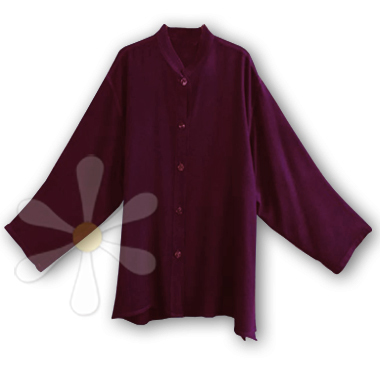 This comfortable long-sleeved design features a tabbed Mandarin or Nehru collar and top-to-bottom button front closure. Part of our EVERYWEAR� collection, it can be dressed up or down depending on how YOU choose to style it -- cozy casual over jeans, comfortably correct for a long day at work and elegant simplicity for your next night out... A truly versatile piece to build your own fabulous look around!